New messaging apps need a gimmick to set them apart. And, as far as chat apps go, there aren’t many things as gimmicky as Snaappy’s masturbating bear emoji. I got the chance to try it out, and while I liked its character, I struggled to find anything fun or unique about it. Snaappy is a new messaging app, sort of a hybrid of Whatsapp and Snapchat — with none of the appeal of either. 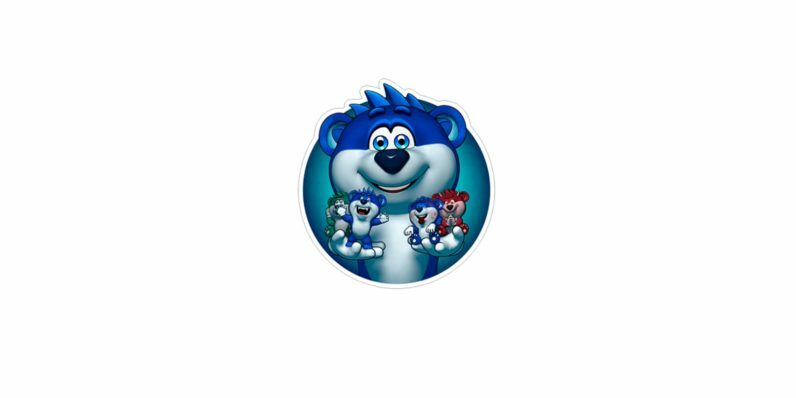 One of the first things you’ll notice about it is the animated blue bear emoji library. The bears do some pretty distinctively suggestive, though not outright repellent, things. One, for example, gives a hand motion that looks like an enthusiastic game of Rock, Paper, Scissors — or at least that’s what he’d tell you if you walked in on him in the middle of it. Also, when your contact sends you a bear emoji, you tap it to get suggestions for appropriate emoji to respond with. You can download whole extra packs of special blue bear emoji — though once you’ve seen the one where it’s totally not masturbating, why would you ever need anything else? Then there’s the real-time typing feature. Rather than waiting those precious few seconds to see a polished message, you’ll now get to peek behind the curtain and see what the other person is typing, in real-time. It’s a feature I didn’t know I wanted — because I really don’t want it. I really don’t understand what purpose it serves to watch autocorrect work on your friend’s message as they’re typing it. I’m content to read what they actually send me. And, when you’re both typing, the text box gets layered over yours, and it’s just a mess. If Snaappy’s bread is its playful bear emoji, then its butter is its enhanced AR features. The app comes with a Facebook Stories-like camera mode where you can take pictures and videos. Once you do, you have the option of layering the blue bears over the pictures, along with text boxes. The emoji will move even if placed over a still image. It can add a bit of spice to even the blandest images (see the selfie below). Trouble is, if you don’t like the animated bears — or even if you do, but are easily tired of them — the gimmick wears thin very quickly. Snaappy’s cute, in a crude sort of way. But once you get past the bear emoji, it doesn’t offer anything other message apps don’t have. The presentation is okay, but the substance just isn’t there. It’s not going to replace iMessage or Whatsapp on my phone any time soon — though maybe both of those should look at adding masturbating bears.